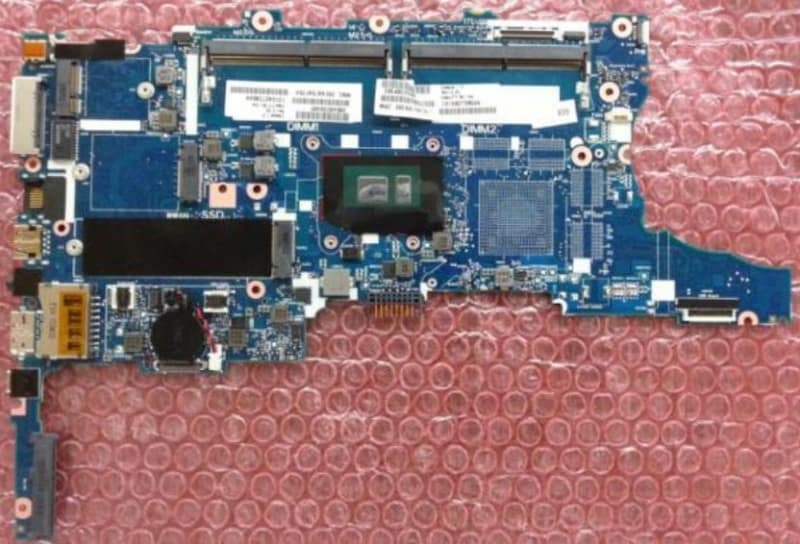 Does anyone have or know where I can get the schematic of parts on the HP EliteBook 745 G4 system board? You won't get a schematic of the board, it's HP proprietary, but if we know what you are trying to accomplish, we might be able to help. We are trying to replace a "3 lead surface mount" on the board. One pin is tied directly to the center pin of the DC input jack. Another pin to ground and the 3rd goes to a fuesable surface mount fuse. The part number on it is 403RJ, but we have not found where to purchase that part from. Thanks for any help you can provide. Here is a pic of what I'm looking for. 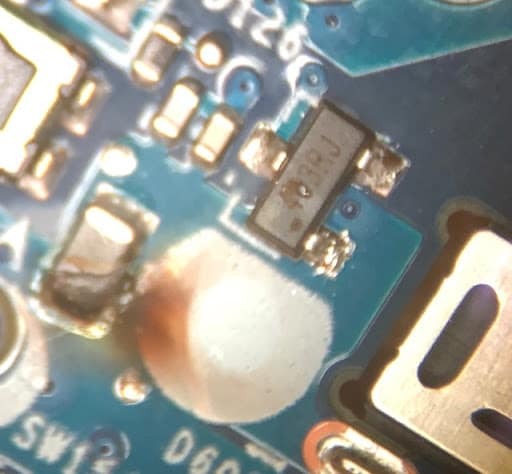 The device is a transistor in a SOT-23 package, however the code appears to be a production code rather than a part number. I would say your best bet would be to post over at http://eng-tips.com, the tek-tips sister forum that deals with the engineering and hardware side of things, somebody there will quite probably have more experience at that level of repair detail. Though I have been there in the dim and distant past. and still do occasionally. If you had a part number, Digikey and Mouser are two spots I use for components. Since you dont you may be able to find similar on these sites. Can you provide a wider view shot of that transistor? There may be some indications printed on the board that will help me. Also, you may de-solder it, and take it to an electronics component shop, and let them match it.